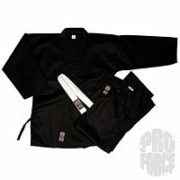 ProForce 6 oz. 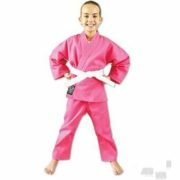 Lightweight Student Uniform - Blend - White (Elastic Drawstring) - Academy Of Karate - Martial Arts Supply Inc. 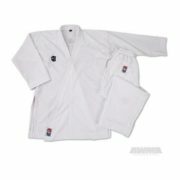 This easy care,permanent press fabric is woven from a perfect blend of 55% cotton and 45% polyester creating a comfortable lightweight uniform. 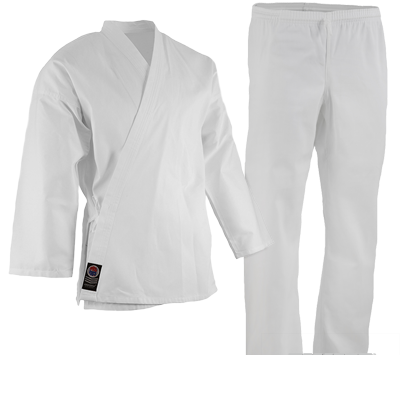 Each set contains a jacket, pants and a white belt. The pants have an elastic drawsting waist. 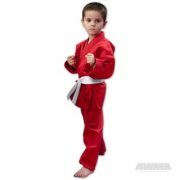 0000 3′ (Child Size 4-6) 30-40 lbs.